There are several varieties of reverse and obverse for this token (serif of the 1 in the date, distance between the bow and the head). Recognized as a on of the thistle token of Nova Scotia. Text : Province of Nova Scotia. 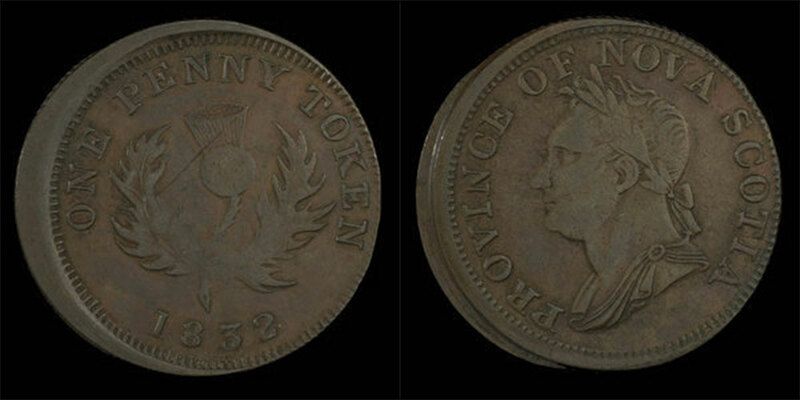 One Penny Token 1832.